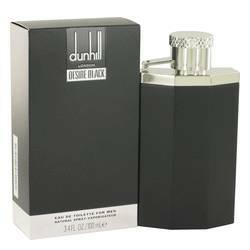 Desire Black London Cologne by Alfred Dunhill, Desire black london is a fragrance for the man who settles for nothing less than the best. Introduced in 2014 by the world-renowned luxury brand alfred dunhill, this scent exudes power and class with every spray. A distinct mixture of black pepper, bergamot, grapefruit, saffron and cypress notes ensures that you leave a memorable impression. Whether you want to take a meeting by storm or impress on a first date, desire black london is the scent to wear.